It is possible to elicit deep physical relaxation by mindfully connecting with the natural world. Many children today are over-stimulated by their environments. Highly sensitive children especially are reactive to high energy, little down time, and high noise levels. Often sensitive children, when exposed to extremely stimulating environments, will become anxious and/or restless. They might demonstrate their sensitivity by being extremely active or “wired” and/or they might start to act out by not listening or appearing to tune out the world around them. Children are sponges, absorbing energy from their environments like osmosis. Their internal antennae can immediately sense the energy level of a situation and their little bodies and minds begin to respond accordingly. Sensitive children are especially vulnerable to sustained high levels of energy. It is often necessary to show them ways to balance their sensations. I have found that spending time in nature is an excellent way to assist children in learning how to relax and to provide them with an environment that is often inherently peaceful and calm. Guiding children to mindfully experience the peaceful environment of a forest, park, or backyard can bring instant relaxation. Nature is about beingness and awareness of the moment. When we draw our attention into the present moment, our bodies relax effortlessly because we are detaching our attention from ideas about the past or future, of which we have no influence. The present moment is peace, it is now. We realize that there is no where to go and nothing to do but just BE, right here, right now. I have included a few activities that can be done in nature in order to stimulate the relaxation response. However, I strongly believe that just spending time in the nature can allow children to simply absorb the peace that is found there. In addition, I have also provided some resources and links that will give you ideas about how to spend more time in nature. This website has a wonderful downloadable newsletter that contains unique, fun activities for children to do in nature. Some activities included are Bird Calling, Camera Game and Meet a Tree. Based on the Fairy House Series by Tracy Kane, this site has ideas for building fairy houses. There are “rules” that the fairies share in order to respect nature as you are building your houses. A wonderful way to spend time outdoors and connect with your imagination in nature. 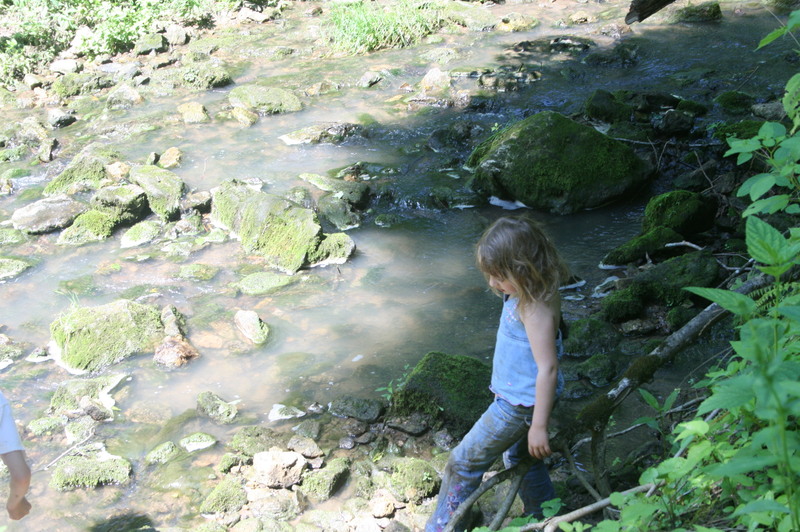 Last Child in the Woods: Saving Our Children from Nature-Deficit Disorder by Richard Louv. Chapel Hill, 2006. There is a Flower at the Tip of My Nose Smelling Me by Alice Walker, HarperCollins, 2006.